Sandy Skotnicki is the founder of Toronto’s Bay Dermatology Centre, an assistant professor in the department of medicine at the University of Toronto and a consultant dermatologist at St. Michael’s Hospital. Her new book, Beyond Soap, co-written with Christopher Shulgan, was published this month. Not long ago, a patient came to see me complaining of a problem she’d never encountered before. The patient, who I’ll call Emily, was in her 60s and still played tennis several times a week. I was used to her radiating health and good cheer during her appointments. But on this day her face bore a worried expression. I saw the problem as soon as she hopped onto my examining table and rolled up her pant leg. The exposed skin bore a nasty rash, which she said had been there for months. She’d been cleaning it constantly, she told me, but even though she’d been washing it “several times a day,” the rash – which looked red and angry – wasn’t getting any better. I hear similar sentiments frequently in my dermatology practice. Complaints of sensitive skin, or, as in Emily’s case, a rash that never improves, which the patients attempt to treat with frequent washing. Which in turn worsens the rash. The cause turns out to be the patient’s tendency to wash too much. In Emily’s case, the rash wasn’t going away because her frequent cleaning was making it worse. I’ve been practising as a dermatologist for 20 years and I’ve seen an alarming increase in the number of patients walking into my clinic with reactions caused by overuse of soaps, cleansers and beauty products. My patients come and see me because they’re hoping I can suggest a product that will cure their painful conditions. In fact, my years in practice suggest that the best strategy is an elimination of products – to pare back the use of cleansers and balms, natural or otherwise, and return the skin to the baseline state that biology intended. Overuse of beauty products has led to increasing skin problems. For example, in 2016, the U.S. Food and Drug Administration made public, for the first time, comprehensive statistics on skin-care reactions related to cosmetic and beauty products. The data was alarming. The FDA registered 291 adverse events in 2013, 436 in 2014, 706 in 2015 and a remarkable 1,591 in 2016 – increases of 50 per cent, 62 per cent and 125 per cent, respectively. The numbers are small relative to population size, but bear in mind, these are events that are reported to the FDA. The actual number of reactions to cosmetic and beauty products is certain to be far higher. Health Canada tracks its own reports on human health and safety incidents related to various types of consumer products – and cosmetics consistently place among the top five reported sectors. A similar trend is manifesting itself with eczema – inflamed, scaly, itchy skin. As recently as the 1940s, eczema was relatively rare, affecting just 5 per cent of children and comparatively unknown in adults. Today, localities exist where 25 per cent of young people suffer from the condition. Adult eczema now affects about 10 per cent of adults in the United States. Worse, people who experience eczema become more likely to experience other problems, such as asthma and hay fever. A survey that focused on an individual city – Aberdeen, Scotland – found that rates of eczema had increased by three times between 1964 and 1999, while rates of hay fever and asthma had increased by four and five times, respectively. The really dramatic increase over time has happened with another condition, known as sensitive skin, which is pretty much what it sounds like – skin that is ultrareactive, intolerant, possibly itchy or otherwise painful, and sometimes, but not always, accompanied by a rash. Reports suggest that 40 per cent of people worldwide consider themselves to have sensitive skin. That is a remarkable amount. And the prevalence can be even higher in individual countries. One survey revealed that approximately 69 per cent of American women self-identified as having sensitive skin. Nearly 85 per cent of women in France claimed to be plagued by it. And 91 per cent of Italians told researchers that they suffered from the condition. Here’s what I think is going on. Skin represents one of those inventions of evolution that we don’t think about much, but nevertheless represents a remarkable innovation – a sophisticated and selective barrier between the outside world and our internal organs, insulating our muscles from temperature extremes, keeping out harmful germs while keeping in good things, such as water and blood. And until recently, at least in evolutionary terms, we mostly left that membrane to its own devices. Not so long ago, a weekly bath was the height of cleanliness. That began to change around the 1880s, when Harley Procter, of Procter & Gamble, invented the strategy of marketing a particular soap brand, Ivory, in the era’s most popular media – weekly magazines. By 1890, as a result, P&G was the United States’ foremost soap maker. Competitors followed P&G’s lead, until, by the turn of the 20th century, the industry was among the United States’ largest advertisers. The marketing push transformed the one-time commodity into the first mass-produced beauty product – the use of which, the ads implied, was required to maintain an appearance acceptable to polite society. Sales climbed. In 1904, according to Harvard business-history professor Geoffrey Jones, the United States manufactured about 700,000 tons of soap; by 1919, that figure had more than doubled to 1.7 million tons. In-home stand-up showers spread through middle-class homes between the world wars, “with the proportion of American homes with bathtubs and/or showers increasing from 61 per cent in 1940 to 87 per cent in 1960,” according to the International Scientific Forum on Home Hygiene. In the 1970s, the American market-research guru Howard Moskowitz struck upon the strategy of horizontal segmentation – selling lots of different types of a given brand to customers with slightly different tastes. The beauty industry has employed the strategy to remarkable effect. Today, the sheer number of products out there is astounding. One bestselling beauty brand has 21 different varieties of shampoo alone, and that’s on top of its conditioners, shaping gels, hairsprays and holding mousses. Segmentation has allowed the beauty industry to expand until its annual worldwide sales stand somewhere between US$250-billion and US$400-billion, depending on how you tally up the receipts. According to Euromonitor, the market-research company, sales of beauty and personal-care products in the United States alone have increased by 16 per cent in the last five years, to US$86-billion a year. Take the Olay brand, the pink, lanolin-based moisturizer invented in 1952 by Graham Wulff, who had formerly worked as a chemist with Unilever. Procter & Gamble bought Olay’s corporate owner in 1985 and, over the years, conducted a textbook horizontal segmentation with the brand. Today, Olay features dozens of varieties. I’d say the closest thing to its original product is the Olay Active Hydrating Cream. There’s also Age Defying Anti-Wrinkle Night Cream, Active Hydrating Fluid Lotion, Minimizing Clean Toner and Age Defying Daily Renewal Cream. And many more besides. As a result of all this horizontal segmentation, in 2013,- Olay became P&G’s 13th billion-dollar brand. What underpinned its strategy for decades was an intense push for expansion. “Our business model relies on the continued growth and success of existing brands and products, as well as the creation of new products,” the company said in one annual stock-market filing. To perpetuate that business model, the company created inside itself a growth factory to generate ideas for addressing the needs of existing markets – or for creating new markets altogether. They spent billions in research and development – US$2-billion in a single calendar year. P&G had years where it spent US$400-million purely on efforts to understand its consumers. And its competitors set similarly aggressive growth targets. Our washing frequency has increased alongside the beauty industry’s expansion. According to a Euromonitor survey, those in the industrialized world now shower an average of once a day. With their daily workouts and demanding social lives, the sort of urban professionals who predominate in my downtown Toronto medical practice average a lot more than that. To understand how water and soap can harm your skin, you need to understand the basics of the body’s largest organ. Our outermost skin functions like a brick wall. Daily rinsing with hot water and soap can strip away lipids (the mortar holding the brick wall together), and, over time, can weaken the skin’s ability to function as a barrier. The damage leads to dry skin, which increases exposure to chemicals, pollutants and germs, and heightens the potential for reactions to irritants and allergens. What’s beginning to be understood by the scientific community is that the frequent application of numerous different beauty and skin-care products, so unprecedented in evolutionary history, is profoundly changing the skin’s chemical makeup. An American team out of the University of California, San Diego, led by microbiologist Pieter Dorrestein, scanned the surface of the skin to learn about the skin microbiome – and found, to their surprise, that the single largest source of the molecules found on the skin surface was residue from beauty and cleansing products. That’s troubling because the skin is supposed to be teeming with microscopic bacteria, a part of the body’s microbiome, which plays an important role in the immune system’s continuing fight against disease. High-pH traditional soaps and antibacterial cleansers may alter the mix of bacteria on the skin, removing the good bacteria and allowing bad bacteria to colonize in its place. Overfrequent washing in particular can harm the skin of babies and children, possibly setting up infants who have a genetic predisposition toward eczema to develop the condition. Furthermore, damage to the skin’s barrier function has been associated with the development of food hypersensitivities, including peanut allergies. 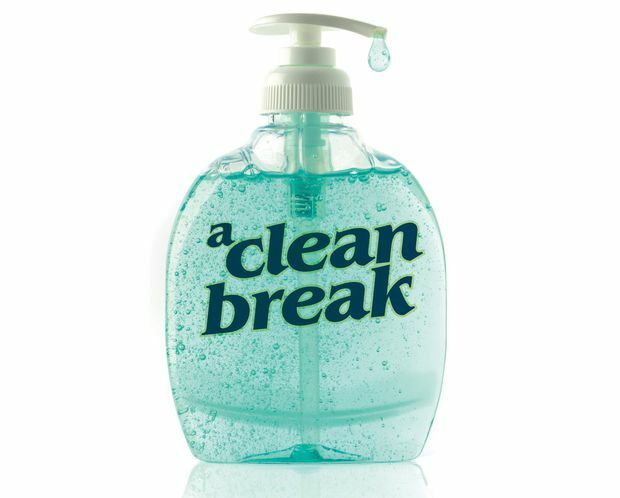 The important thing, as explained by Sally Bloomfield, a British expert in the prevention of infectious disease, is to understand the difference between hygiene and cleanliness. Hygiene, says Dr. Bloomfield, protects us from infectious diseases. Washing your hands after you’ve returned home from a trip on the subway is an example of a hygienic practice – a good thing to do. In contrast, she says, cleanliness is the absence of dirt, the feeling of freshness, the desire for social acceptability. Our showering and shampooing has more to do with societal norms and wanting to adhere to them than health, or necessity. One long-term problem for people who are reactive to various odours was the difficulty determining which products carried what fragrance molecules, since many shampoos and other products feature just “fragrance” or “perfume” in their ingredients list. To improve that situation, P&G announced it would list on its website all ingredients in its fragrances by the end of 2019. Good for them. But more needs to be done. To the growing number of patients who come into my dermatology clinic complaining of sensitive skin, or other conditions, I say less is more. First I have them pare back their use of skin-care products to a shortlist of products that I’ve examined to be certain they’re non-reactive and hypoallergenic. My patients tend to improve quickly – and once they do, I leave them with some parting advice. Don’t wash so much, I say. Most people shower far too frequently. And if you do shower, limit your washing to only the spots that are dirty, or smell bad – your underarms, your groin, collectively referred to as “bits.” You certainly don’t need to lather your entire body with shower gel. That, at least, is what I told Emily, the patient who had come in with the nasty lower-leg rash. She confessed that she’d been showering twice a day – once before work, and again after she played tennis most afternoons. Each time she stood under the water, she lathered her entire body. “I just thought I was supposed to,” she confessed. I say the same thing to patients such as Emily every day. We associate soap and showers with good health. But in recent decades, our society’s obsession with cleanliness has become too much of a good thing.